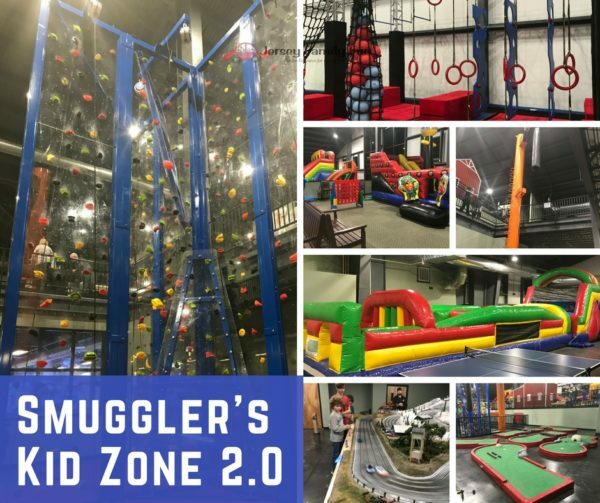 Smugglers Notch Resort Fun Zone 2.0 ~ Don’t Miss it! Posted on: January 31st, 2018	by Jennifer A. We were provided with meals, accommodations, and activities at the Smuggler’s Notch Resort in Vermont to aid us in creating family travel stories to help you plan your family vacation to Smuggler’s Notch, a family-friendly Vermont resort. This feature will focus on all the things to do at Smugglers Notch Resort Fun Zone 2.0. 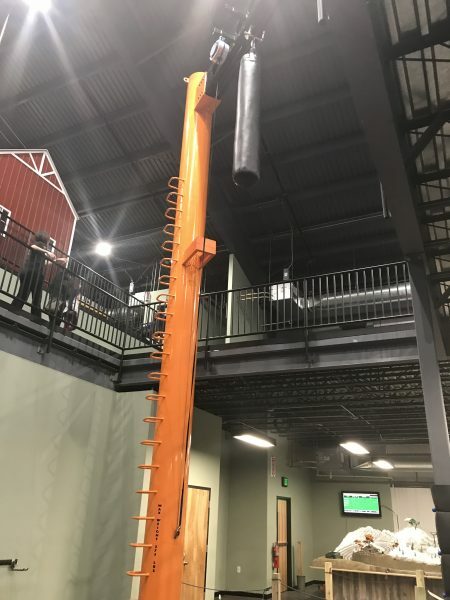 Have you heard more about the Smugglers Notch Resort Fun Zone 2.0? The Smugglers Notch Resort Fun Zone is not to be missed when you visit Smuggler’s Notch. This two-floor, 26,000 square foot family entertainment complex is AMAZING. If Smuggler’s other outdoor activities haven’t worn out your kids, this area WILL! 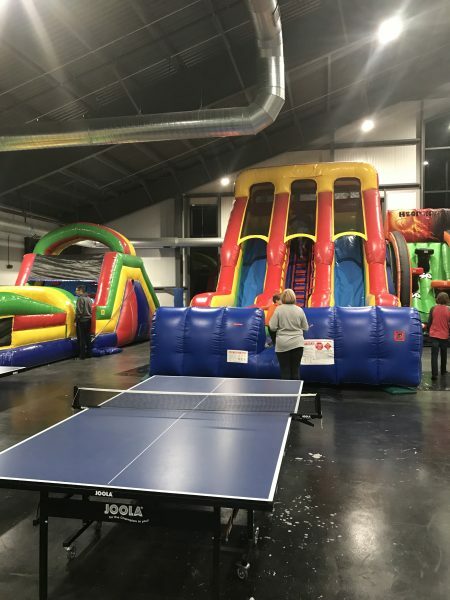 Inflatables, translucent climbing walls, laser tag, a ninja warrior course and more.. the Fun Zone offers so many ways to have fun. Teens can visit on their own or with their family. Children 12 & under must be accompanied by an adult. Socks are required in the Ozone and regular sneakers are required for the Go Zone. 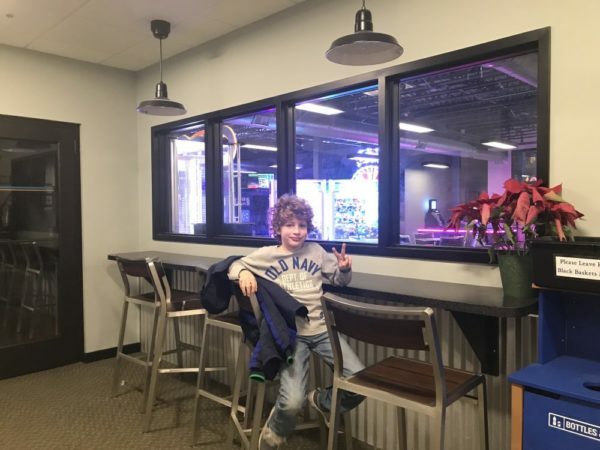 What can you do at Smugglers Notch Kid Zone 2.0? 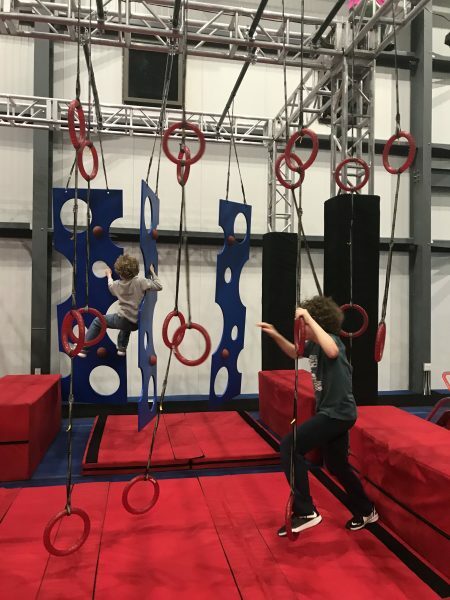 Just take a look at the things kids and teens can do in the Smugglers Notch Kid Zone. Mom, dad, don’t worry you can get in on most of the indoor fun at Smuggler’s too. Watch our tour of the Smugglers Notch Resort Fun Zone 2.0. On the first floor of the Smuggler’s Notch Resort Kid Zone 2.0 is the arcade and Go Zone. The Go Zone activities do require an additional fee. You can purchase Go Zone cards at the front desk and either pay by the activity or pay $25 for all day play in the Go Zone. 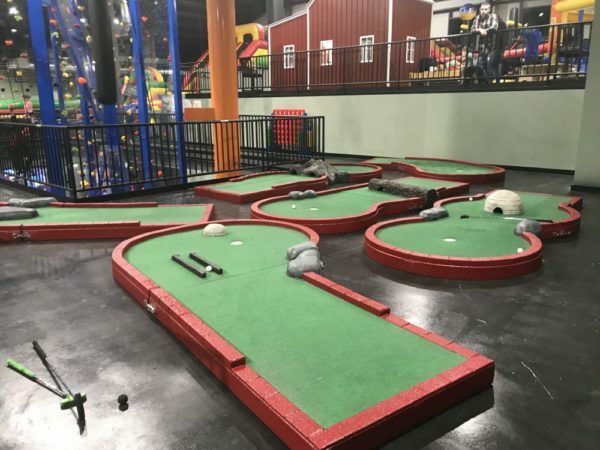 The Go Zone offers hands-on activities like Laser Tag, 2 Smuggs Warrior courses, a see-through climbing wall, self-rappelling Leap of Faith, Lazer Maze, and slot car rally races. 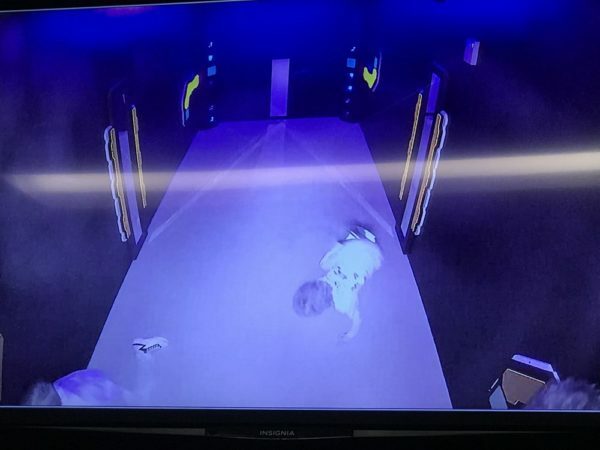 Indoor closed-toe shoes (no snow boots) are required to participate in Laser Tag and the Go Zone attractions. 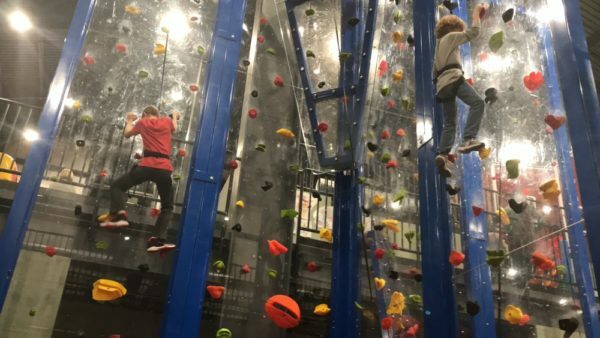 You can’t miss this 30 foot double-sided climbing wall. It extends from the lower level and up through the second floor of the Smuggler’s Notch Fun Zone. The walls are clear! Your kids can climb wall to wall or have a staring contest as they climb on opposite sides of the same wall. $5 per climb. Can you take a leal of faith from this two-story platform? Climb to the top with the ladder and then step off or jump. My teen jumped! $5 per climb. 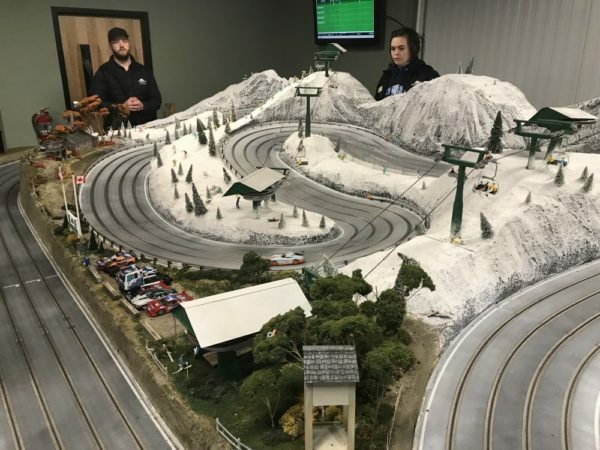 The Mountain Rally Raceway has a variety of slot cars guests can choose to race. The track is a custom built Smugglers’ themed slot car track that resembles the Smuggler’s Notch Resort. $4 per race/per car. Test your ninja warrior skills against one of your kids or have the kids go head to head in Smugglers Warrior course. As my boys quickly found out, it’s not as easy as they thought it looked. The two cutting-edge Smuggs Warrior course are designed slightly different from each other and work with a timing system. There’s even a button to slam when they complete the course, just like you see on tv. $5 per run/per guest. 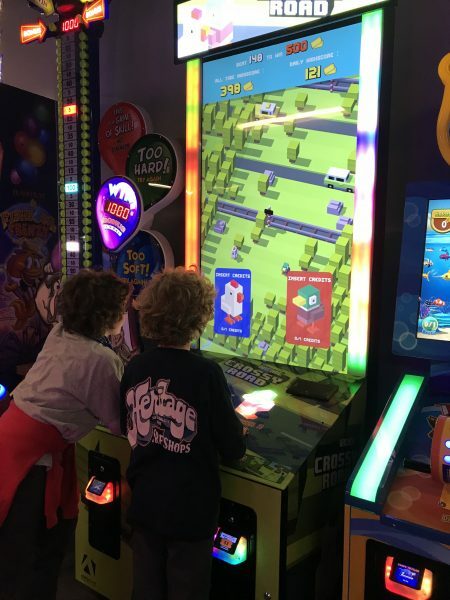 On the first level of the Smugglers Notch Fun Zone 2.0 is the 2,000 square foot arcade with 30 plus games and redemption center. 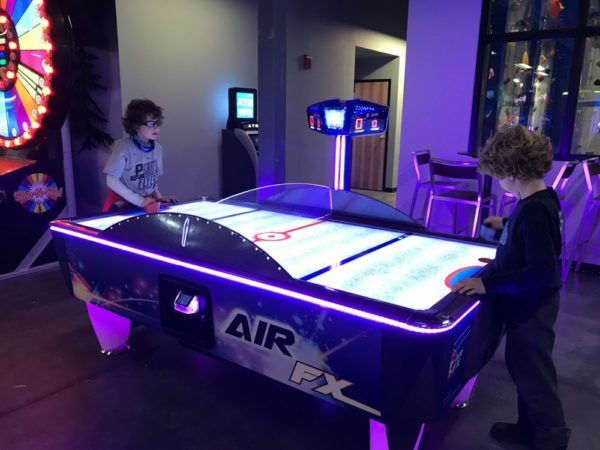 There are arcade favorites like air hockey, skeeball, crane games, and a photo booth as well as some more modern games. Many games allow guests to earn tickets that can be redeemed for prizes in the redemption center. But no worries, the tickets are saved to your card so there’s nothing to keep track of and you can save them for your next Smuggler’s visit. We found the arcade games prices to vary by game. Most were between $.50 to $1. The Lazer Frenzy is part of the Go Zone but located at the back of the arcade. 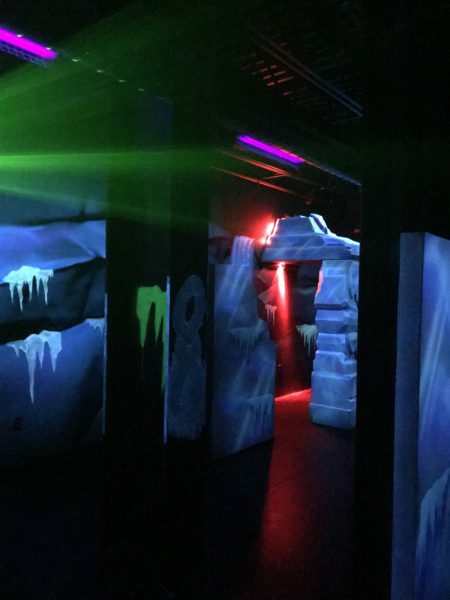 It’s a fun and unique laser maze that offers a variety of challenges to test agility while getting through a maze of laser beams. $3 per game. We had a lot of fun in the Ice Warriors- Defenders of the Notch – Laser Tag game. We could play everyone for themselves or team against team. I teamed up with my teenager and my husband teamed up with my younger boys. It was a race around the 3,500 square foot, multi-level, custom themed laser tag arena trying to see who could outdo/outshoot who. It was like a race around an ice forest. The fee was $10 per game or $16 for two games. Each game was about 10 minutes long. The second floor of the Smugglers Notch Resort Fun Zone, the Ozone floor is a space where kids can be wild and carefree and bounce away. Use of the Ozone is included in all the Club Smugglers’ Packages or with your SmuggsPass or Season Pass. Regular price is $12 per child for 2-hours with an accompanying adult. Socks are required to enter the Ozone. There are four inflatables in the Smuggler’s Notch Kid Zone. Two are part of the regular Ozone activities. The other two are bouncy houses in the Littles’ Loft. The Ozone level starts with a 55′ Obstacle Course that ends down a 12′ foot tall slide! There are walls to climb, pop out bars to squeeze through, and a super long tunnel to crawl through. 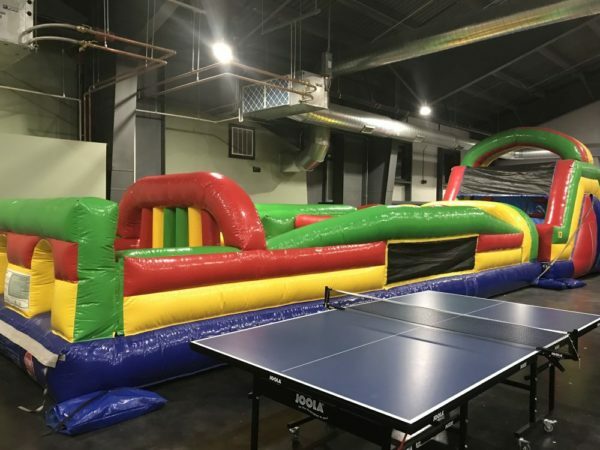 Kids must be 42″ and taller for this inflatable obstacle course. Next to the inflatable Obstacle Course is the inflatable Giant Slide. It’s a huge, double-lane slide that stand 18′ tall and 15′ wide. Guests must be 42″ and taller to ride the slide. Bouncy houses are always a hit with little kids! The Littles’ Loft features two. One bounce house is round like a traditional bouncy house. 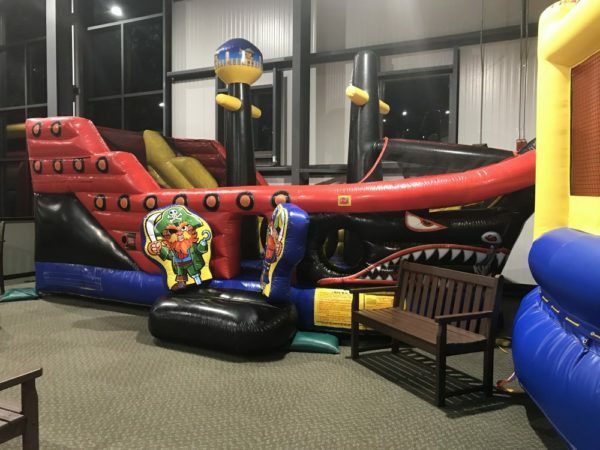 The other inflatable bouncy house resembles a pirate ship. There are two ping pong tables available. 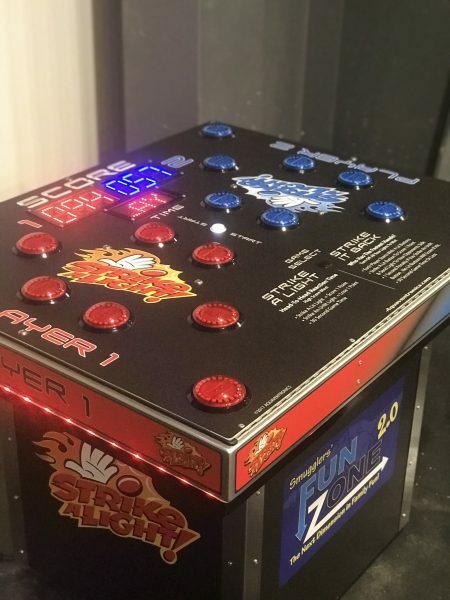 There are a few arcade-like games in the Ozone level of the Fun Zone 2.0. There are two inflatable bounce-type houses in the Ozonez Littles’ Loft. The first is a 22-foot-long brightly colored pirate ship. The second is a round 20 foot diameter, 9 foot tall Bouncy House! If you are playing at the FunZone 2.0 and get hungry they are ready with snacks or a meal. They offer a variety of sandwiches, salads, pizza, snacks, drinks, beer, and wine. The Refuel Cafe also offers 10 flavors of soft serve ice cream. Seating is available throughout the Kid Zone 2.0. Make sure you get a Kids Club ticket when you check in. When you bring this ticket to the Fun Zone your kids will get a treasure chest filled with all kinds of goodies including a coloring book/activity guide, $5 gift card good for the Fun Zone, and a voucher for a free hot cocoa in the country store. To learn more about the activities at Smuggler’s Notch Resort visit their page at www.smuggs.com. 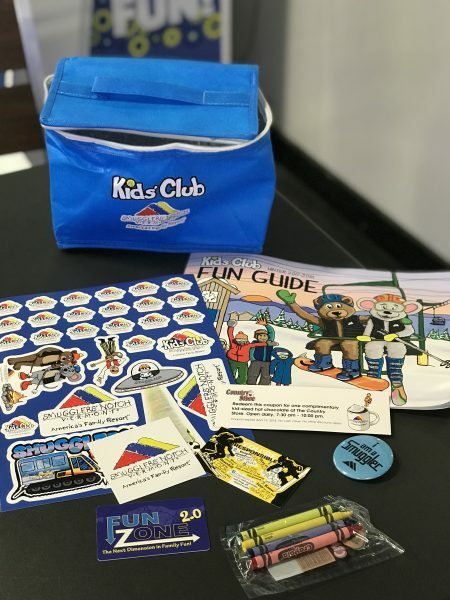 Didn’t we tell you there were so many things to do at Smugglers Notch Resort Kid Zone 2.0?! Which of the Smugglers Notch Fun Zone 2.0 activities would you do first? We’d love to know. Comment below and then visit our Facebook album where you can find even more pictures of the Smugglers Notch Resort Kid Zone 2.0 activities. Check it out, and when you do please tell them Jersey Family Fun sent you. When you’re ready to learn about the lodging options at Smuggler’s Notch Resort, visit our Eagles Condos at Smuggler’s Notch Resort in the Vermont story. When you’re ready to book your trip to Smuggler’s Notch Resort click Smuggs Notch Resort site. Click over to see the rest of our Family Travel to Smugglers Notch Resort series. To read more about our visits to Vermont, read our Family Travel to Vermont series. 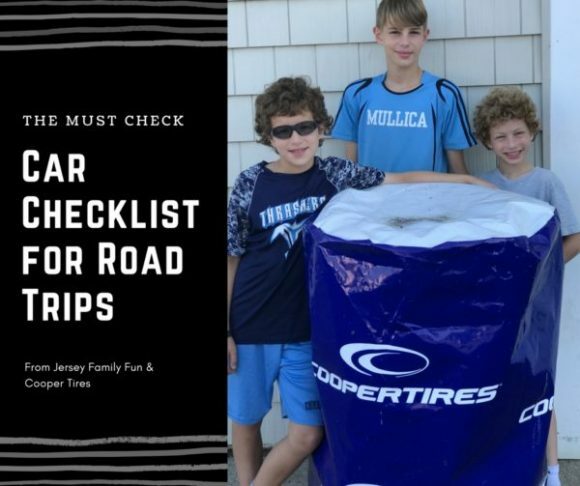 Before you head out on your family vacation to Woodloch Resort make sure your car is ready with our Must Check Car Checklist for Road Trips. 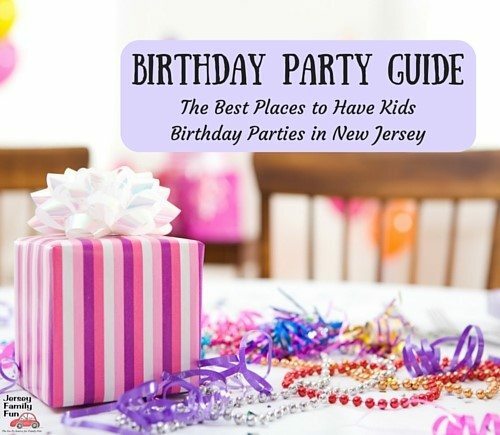 To arrange a feature on your location contact Jennifer Auer, Jersey Family Fun publisher at jenniferauer@jerseyfamilyfun.com.